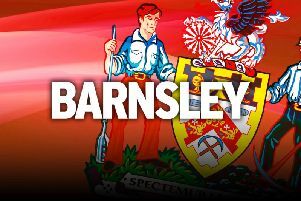 Barnsley assistant coach Andreas Winkler has accused League One teams of setting out to hurt his players after Kenny Dougall was injured in Tuesday's 3-1 loss at Shrewsbury. The Australian was forced off in the 21st minute after a poor tackle by Anthony Grant, which only received a yellow card. The Reds were already trailing to Greg Docherty's early goal by then and two minutes later fell further behind to Ollie Norburn's strike. Although Ethan Pinnock gave them hope early in the second half, Luke Waterfall made the game safe as the Shrews inflicted a second away defeat in four days on the Tykes. Winkler accepted his side were below par, but questioned whether they had enough protection from referee Scott Oldham. “Kenny is injured. He has to go for a scan,” the German said. “I hope it was not a plan of Shrewsbury to only hurt him. “In this moment and the following period the referee could do more to save our players. “It looks like this is the plan from our opponent teams. Maybe we are the better football team. When Pinnock reduced the deficit four minutes into the second half, Winkler expected his side to kick on and was left disappointed by their failure to do so. "At this moment really, I believed in the team because I know what they can do," said Winkler. "It was in a perfect moment, five minutes after half time, and then you have 40 minutes to go for a goal or maybe two. "Very disappointed after, a set-piece to the far post. They win the header and then they go on. "I think we had not a good start in the first half and the opponents tried to bring us out of our plan, very hard duals, direct play and this day we were not able enough. Head coach Daniel Stendel had to watch the final moments of the game from the stands after a touchline scuffle and his number two opted to keep his powder dry. The Reds will aim to bounce back when they host Bristol Rovers at Oakwell on Saturday.